Why train with bodyweight? 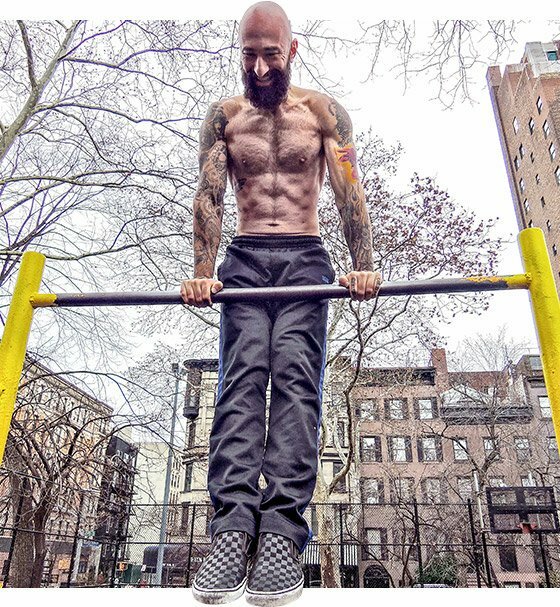 Al Kavadlo explains the top 5 reasons why calisthenics may be the perfect workout for you. It&apos;s official: Bodyweight training is the number one fitness trend for 2015. The American College of Sports Medicine recently released the results of their annual survey of fitness professionals asking which trends will shape the year to come. Bodyweight training received the most votes! But why has bodyweight become red-hot lately? And is it even really fair to call something that has existed since the time of the ancient Greeks a "trend?" The word "calisthenics," which has become synonymous with bodyweight training, comes from the Greek words "kalos" and "sthenos", which roughly translate to English as "beautiful strength." I guess it makes sense that being beautiful and strong is a popular idea! As someone who has been around the fitness world and ultimately found my home in bodyweight training, I&apos;m not surprised at all by this rise in popularity. Here are five reasons why bodyweight strength training is experiencing such a resurgence, and why you should consider it this year. Let&apos;s face it: Gym memberships are expensive, especially if you want any personalized instruction. It&apos;s even more expensive to try recreating the strength and conditioning capabilities of an elite sports team in your garage! Maybe this is the reason many people believe that getting stronger, leaner, and more athletic requires a hefty investment. But take it from me: It&apos;s just not true! You don&apos;t need any special equipment or special shoes; you don&apos;t even need to leave your home. The universal appeal of bodyweight strength training is that you can do it anywhere, anytime. You don&apos;t need any special equipment or special shoes; you don&apos;t even need to leave your home. You may have noticed that my videos all take place in a park. There&apos;s probably a park in your town that can give you a similar training experience. Simply put, calisthenics is the most accessible form of exercise in the world! Though it&apos;s always possible to injure yourself if you aren&apos;t careful, the risk with bodyweight training is significantly less than it is with external weights. Obviously, the odds of dropping a weight on yourself are non-existent if you aren&apos;t under a barbell, but that&apos;s only the most obvious way bodyweight can be safer for you. There are still advanced bodyweight moves that can challenge you every bit as much as a heavy deadlift or bench press, but you won&apos;t have to worry about throwing out your back or getting a bar stuck on your chest if you fail. When the most resistance you can possibly move is your own weight, the chances of tweaking something while attempting something ambitious are a lot smaller. It&apos;s intimidating to be a beginner surrounded by people who are way better than you at something. Add to that the testosterone-fueled nature of most weight rooms, and it&apos;s easy to see why the gym can be a scary place for those new to working out. With bodyweight training, a beginner can train at home without any anxiety about anyone looking down on them for their strength level. Someone who&apos;s not able to bench even an empty barbell can still do wall push-ups without fear of judgment. On the other end of the spectrum, there are some people who think that bodyweight training can only get them "so far." This is understandable, especially given what I said earlier about how the maximum load you can lift with bodyweight is a percentage of what you weigh. However, one great thing about the recent calisthenics movement—and YouTube—is that everyone can now see how, with single-limb exercises and the proper manipulation of leverage, you can progress any movement pattern to levels that can build extreme strength. There&apos;s no way to fake or cheat movements like a one-arm pull-up and front lever! In calisthenics, progress is made by moving onto more challenging movements, not by simply moving to a heavier weight like you would with a barbell or kettlebell. That beginner who starts out with a wall push-up or kneeling push-up before progressing to a full push-up can eventually progress all the way to a one-arm push-up—and they&apos;d learn plenty along the way! Unlocking these new skills adds a fun, playful challenge to bodyweight training that can be missing in the numbers game of strength training. Whether you&apos;re working on a freestanding handstand or a human flag, there are always new goals and dreams to keep your attention and interest. Once you can do each one of these moves on its own, you can even combine them! Perhaps the most important reason why bodyweight strength training has become so popular lately is due to the enthusiasm of its participants. 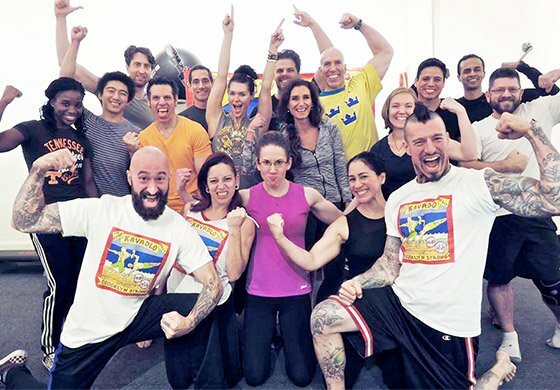 Bodyweight practitioners are known for supporting one another and spreading a positive attitude, continually inspiring each other toward growth. 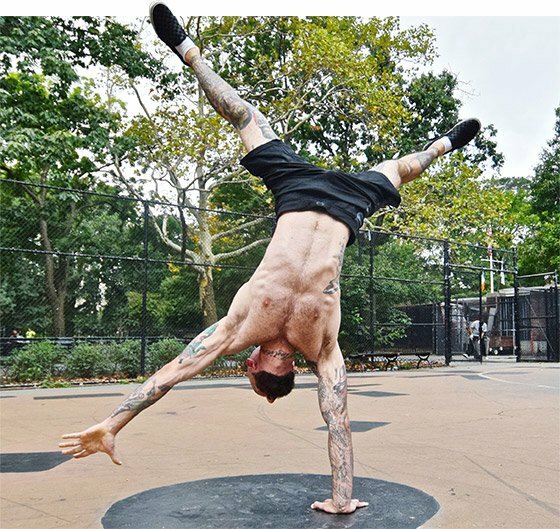 There&apos;s an instant camaraderie among those of us who train bodyweight, which makes it easy to organize informal calisthenics meet-ups, as well as more organized events like tournaments and certifications. We&apos;ve all been doing our part to spread the word, and I guess it&apos;s been working! Bodyweight practitioners are known for supporting one another and spreading a positive attitude, continually inspiring each other toward growth. More and more people are finding out that the only piece of equipment anyone needs to get in amazing shape is something we all have at our disposal 24 hours a day. It&apos;s your body. Make the most of it! Al&apos;s new book, Zen Mind, Strong Body, is available now from Dragon Door Publications. Supersets aren&apos;t just for burning out your arms with dumbbells. You can use them to get the most out of big-bang calisthenics classics, too! Al Kavadlo is here to show you how.